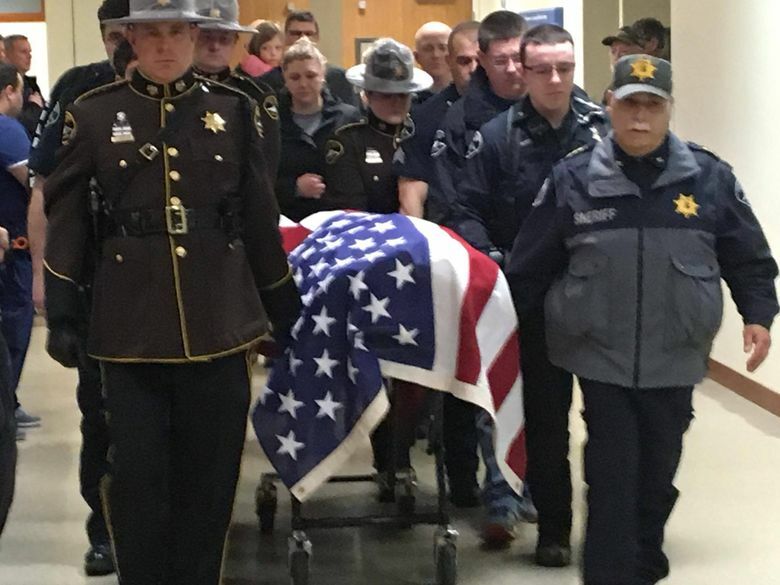 Deputy Daniel McCartney, 34, was shot just after 11:30 p.m. Sunday during a foot chase while responding to a 911 call, the Pierce County Sheriff's Department says. 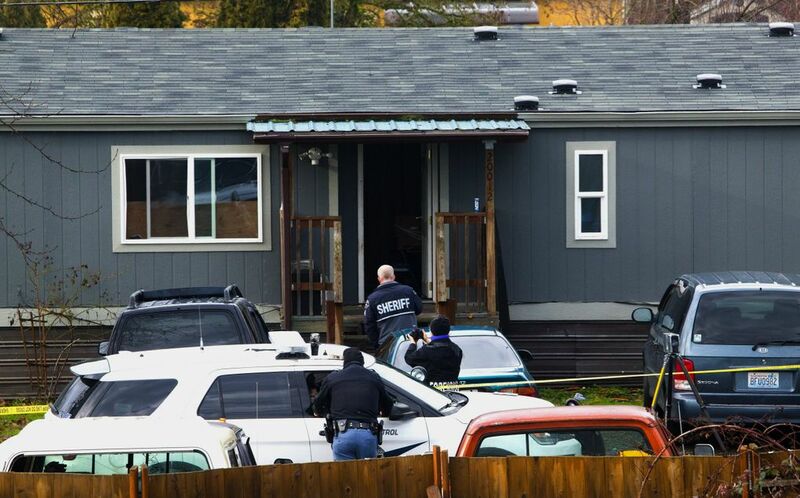 A man suspected in the fatal shooting of Pierce County sheriff’s Deputy Daniel McCartney was sitting in jail as officers were mounting a massive manhunt Monday in the Frederickson area. The 32-year-old suspect was taken into custody not far from where McCartney was killed in a shootout shortly after responding to a 911 call late Sunday night. 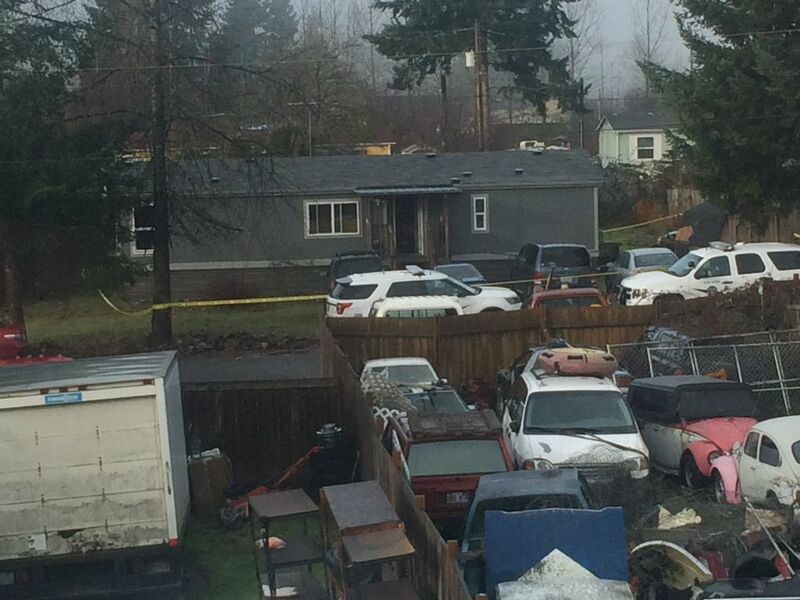 A suspect was killed in the shootout, but deputies believed a second person was involved. 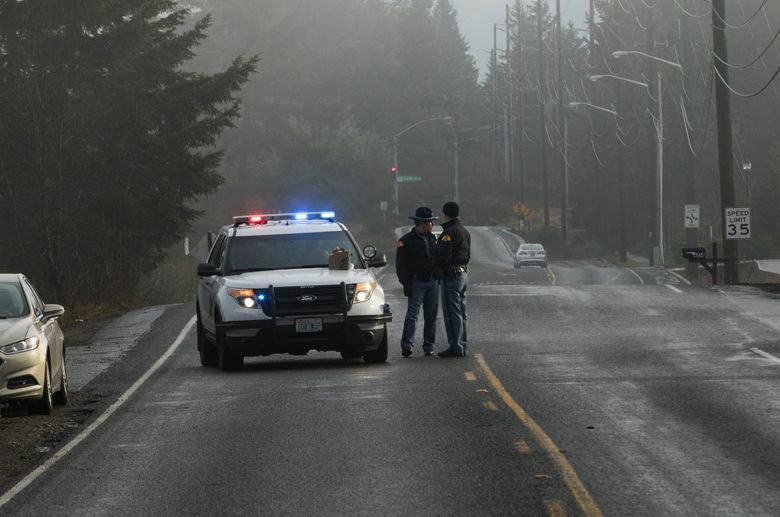 An “alert” Washington State Patrol trooper working near the scene of the shooting stopped a person just after 8 a.m. Monday, sheriff’s spokesman Ed Troyer said. But the man did not match the initial description of the suspect and gave the trooper a false name. The man was initially detained for obstruction, but was later booked into the Pierce County Jail for felony warrants out of Shelton, Troyer said. Meanwhile, detectives at the scene of McCartney’s shooting received updated witness reports on the second suspect’s description and found that it matched the 32-year-old man already in custody, Troyer said. “Our detectives spent the whole day tying evidence to him to identify him as the second suspect,” Troyer told reporters Monday afternoon. 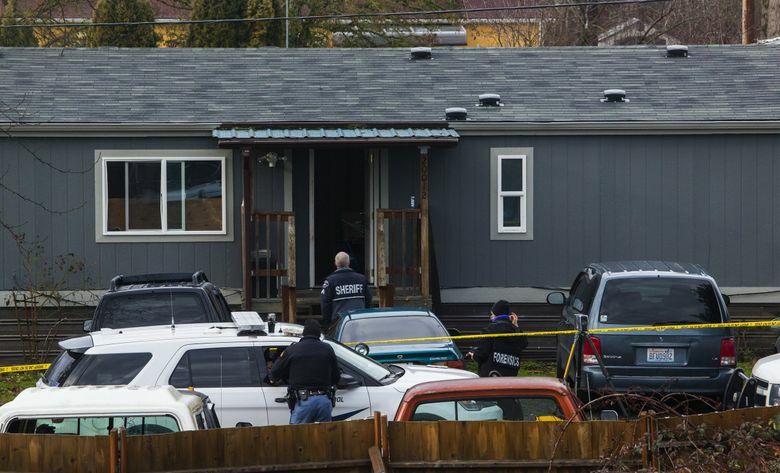 The suspect was booked on a first-degree-murder charge and is expected to make his first court appearance Tuesday, he said. The Seattle Times is not naming the man because he has not been charged or appeared before a judge. No further details on the suspect were released Monday. McCartney, 34, of Yelm, died at St. Joseph Medical Center in Tacoma just after 2 a.m. 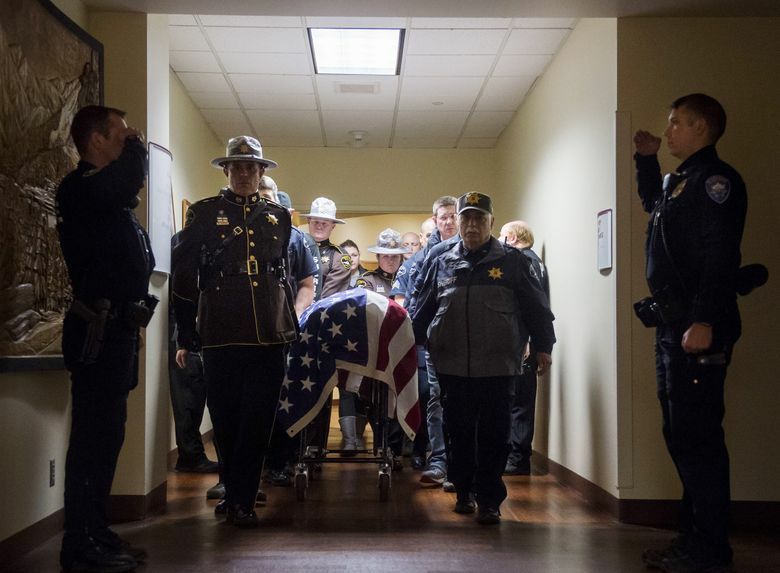 The married Navy veteran and father of three boys ages 4, 6 and 9 had been a Pierce County deputy for three years. 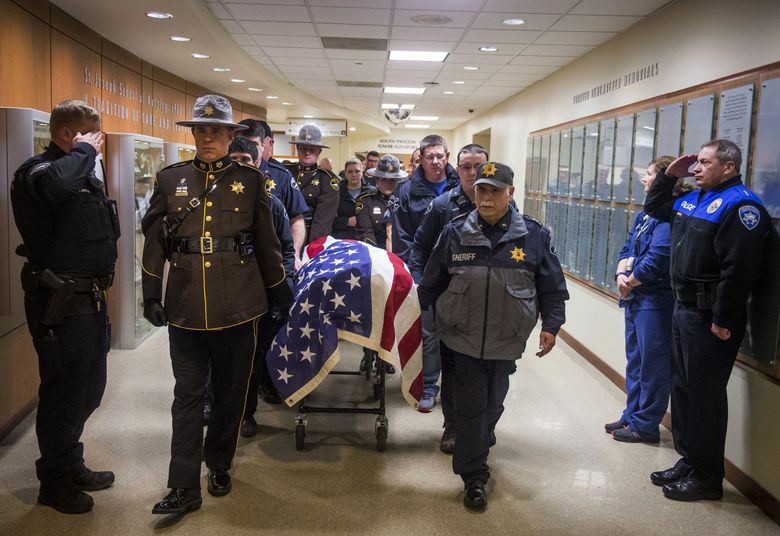 He was a “good, solid, stalwart man,” Sheriff Paul Pastor said. “During the 911 call, dispatchers could hear screaming and a scuffle taking place,” the Sheriff’s Office reported. McCartney arrived on the scene and chased a suspect on foot. During the chase, shots were fired. Troyer said that detectives believe McCartney fired shots during the fatal encounter. 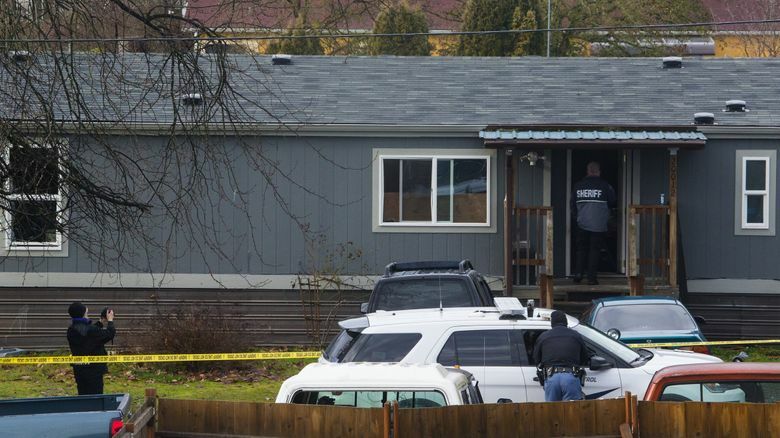 “We believe our deputy did fire shots and that there was a gunbattle,” Troyer said, adding that investigators won’t know for sure until ballistics tests are done. A handgun was recovered at the scene, and Troyer said investigators believe preliminarily that it may have been the gun used to “shoot our deputy.” He said a second weapon was recovered after the arrest of the second suspect. 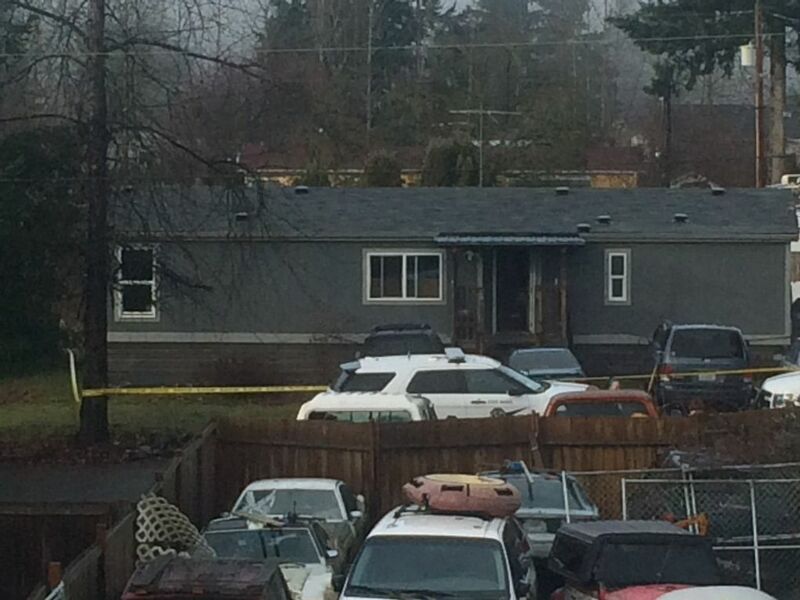 The wounded deputy was found near the dead suspect’s body, about a block from the home on 200th Street East. McCartney was rushed into surgery at St. Joseph Medical Center, but his wounds were “too catastrophic” to survive, Troyer said. Troyer said the dead suspect and the man in jail have felony criminal records and would have been prohibited from possessing firearms. 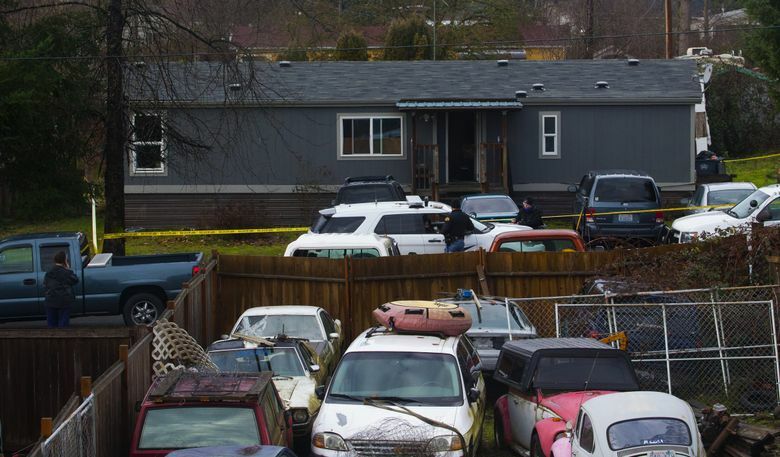 Pierce County detectives were working with agents from the federal Bureau of Alcohol, Tobacco, Firearms and Explosives to determine where the guns came from. No further details on the deceased suspect were available, Troyer said, as the Pierce County medical examiner has yet to identify him. 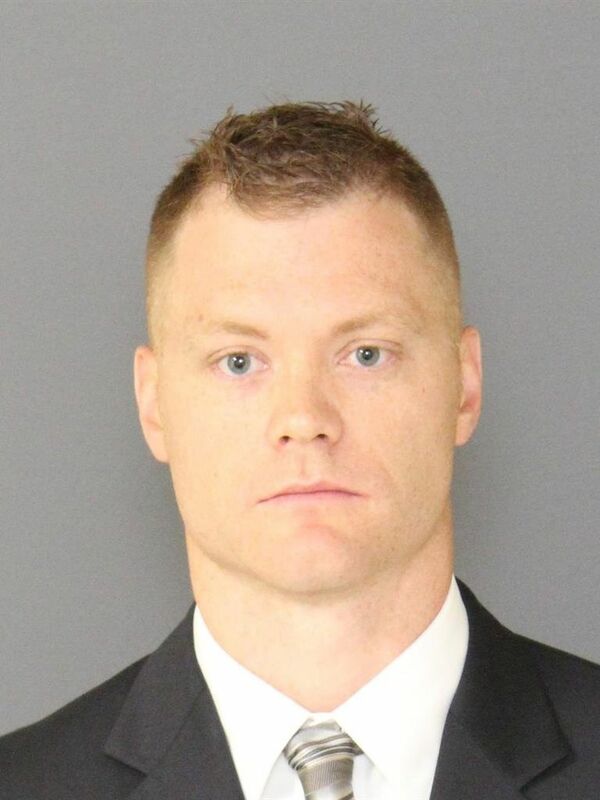 Before joining the Pierce County Sheriff’s Department, McCartney served as a Hoquiam police officer for four years and as a detention officer at the Grays Harbor Juvenile Facility. He was deployed to Afghanistan while in the Navy. Donation to McCartney’s family can be made through tpcrimestoppers.com by using PayPal, or visiting any TAPCO Credit Union location, the Sheriff’s Department said. 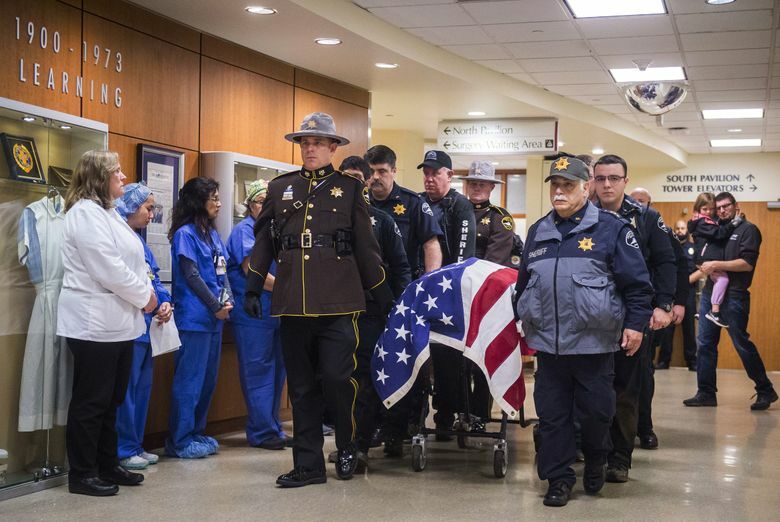 A procession bearing the slain officer’s body from the Pierce County Medical Examiner’s Office in Tacoma to Mountain View Memorial in Lakewood is tentatively scheduled for 1 p.m. Tuesday, the Sheriff’s Office said. Officials will confirm the schedule Tuesday morning. 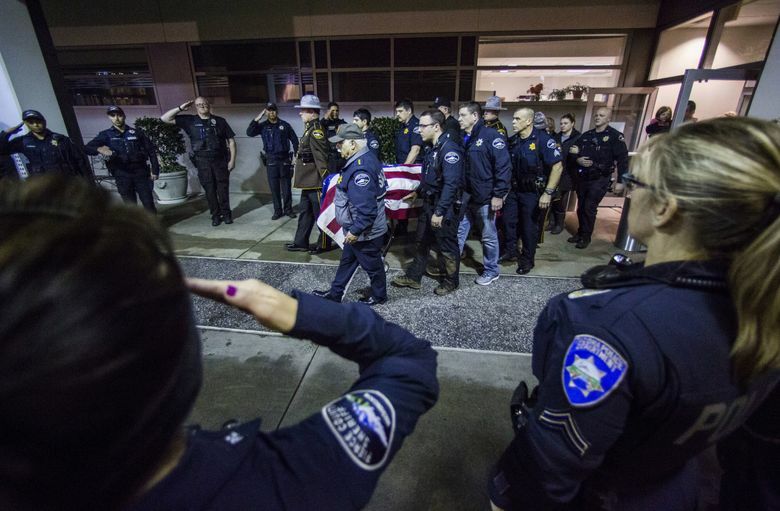 McCartney is the first Seattle-area law-enforcement officer to be killed in the line of duty since Tacoma police Officer Reginald “Jake” Gutierrez, 45, was fatally shot on Nov. 30, 2016, while responding to a domestic-violence call. 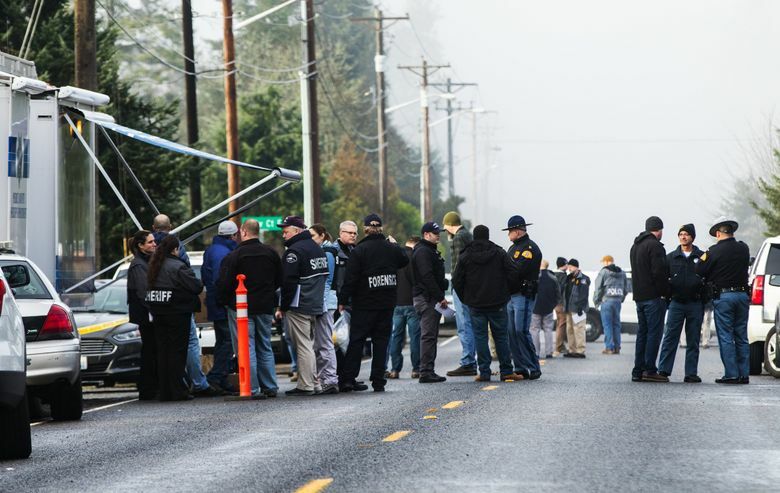 The gunman was killed the next day, after an 11-hour standoff. 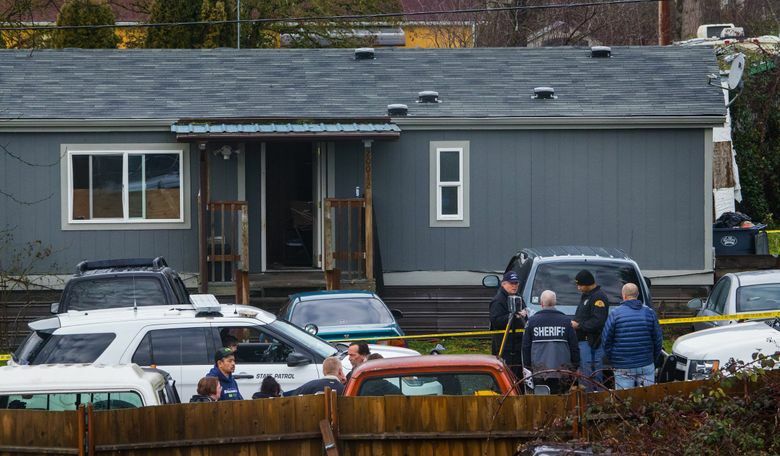 Troyer said at a news briefing Monday morning that the deputy was following protocol when he responded within six minutes to the report of the home invasion at a residence to which police had been called multiple times before. Troyer said McCartney’s “bravery showed” when he ran after the suspects. 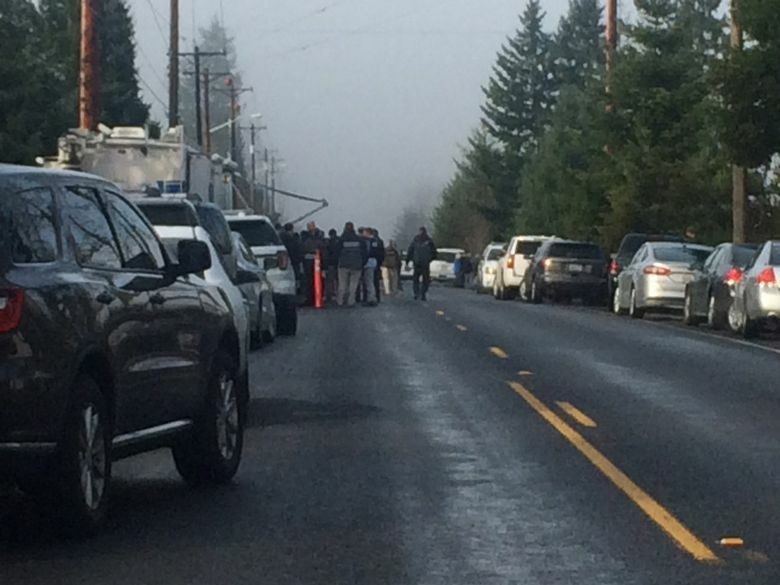 Pastor, the sheriff, said in an interview with KING 5 that sheriff’s deputies face a situation in which personnel are “thinly stretched” throughout the county. Some roads in the area were closed for hours after the shooting as police searched for the suspect. Bethel School District canceled all classes Monday out of “an abundance of caution,” it reported on its Facebook page. 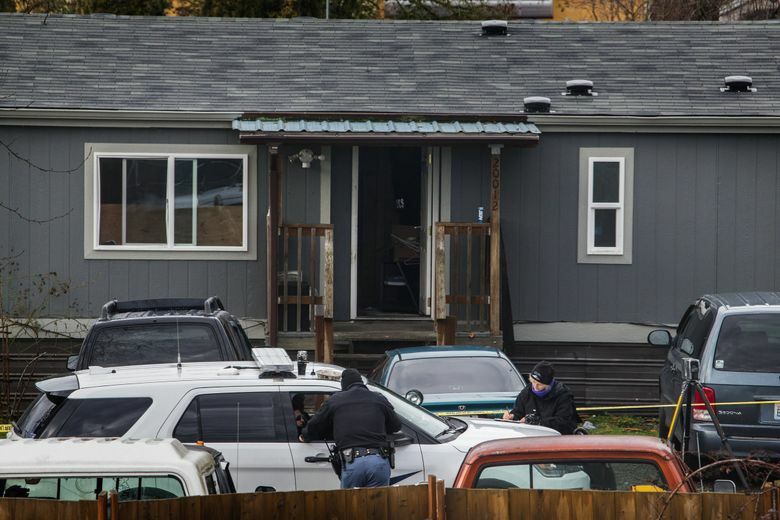 Neighbors described the neighborhood as generally quiet and safe, aside from a few car prowls in the past year, said Marcia Thompson, who was baby-sitting her grandchildren in her daughter’s house overlooking the shooting scene. 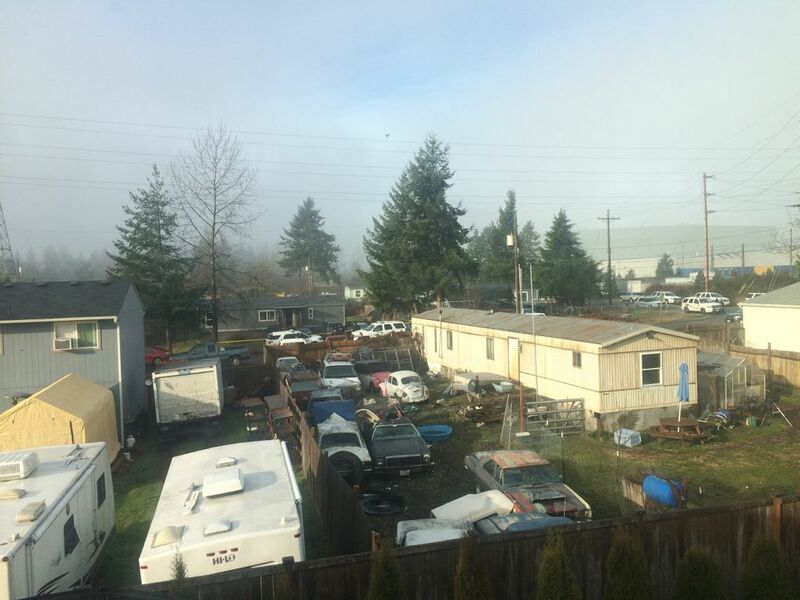 She also expressed concern for her daughter’s neighbors, whose gray mobile home was broken into: “They’ve got to be freaking out. It makes you so much more aware of your surroundings,” Thompson said. Yoo didn’t hear gunfire but was awakened by flashing police lights. Seattle Times staff reporter Jessica Lee contributed to this story.